MORE than 40% of special needs students have enrolled in the Inclusive Education Programmes at national schools. Education Minister Dr Maszlee Malik said the ministry surpassed its target of having more than 30% of special needs students involved in the programme. In 2017, there were 40.88% of special needs students in the programme. “What is more assuring is that we are trying to make sure none of our children are left out, and we also focused on special groups in society such as Orang Asli and indigenous students, high-risk students and special needs students,” he said when launching the 2017 Annual Report of the Malaysia Education Blueprint 2013-2025. “We will continue to increase the involvement of special needs students in school from time to time,” he added. Dr Maszlee also said that the ministry will continue to “work hard” to ensure all children are given an equal opportunity for education. “We should work together to achieve our vision without looking at gender, ethnicity or socioeconomic status,” he added. He elaborated that the “vision” was to achieve the six student aspirations in the Blueprint – knowledge, thinking skills, leadership skills, dual-language skills, ethics and spirituality and national identity. Dr Maszlee said the Government invested heavily in education with RM42.9bil allocated last year. He added that due to this big investment, there is a need to carry out mid-term reviews on the Blueprint to see if it needs to be changed or improved upon. He added that every member of the education fraternity, including ministry staff and clerks, play an important part in ensuring the Blueprint is a success. Education director-general Datuk Dr Amin Senin said 2017 marks the second year of the second wave of the Blueprint. “Therefore, it is every citizen’s aspiration that education initiatives launched by the Malaysian government are consistent, well implemented, and achieves the promised outcomes,” added Dr Maszlee. He also said he welcomes, encourages and is leading the changes happening in the country. “I hope that the transformation agenda in the Blueprint brings great meaning to all Malaysians. 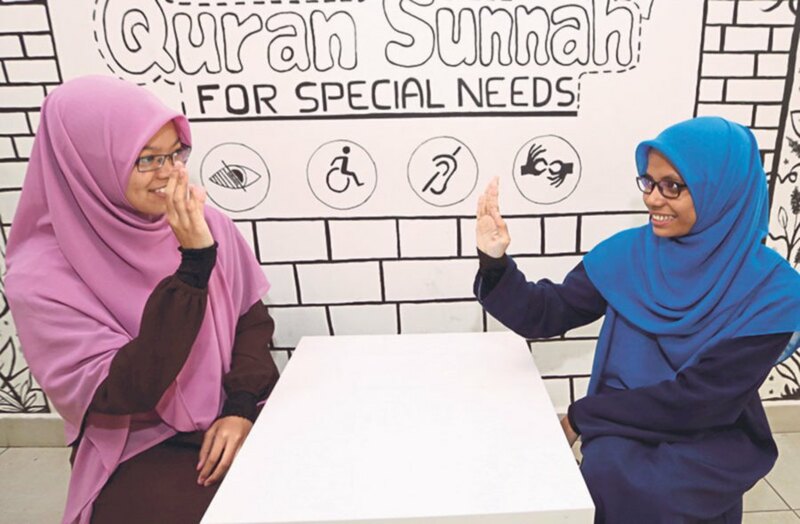 KUALA LUMPUR : THE Education Ministry is holding true to its promise of increasing access to education for all, by giving due attention to special needs students and continually finding ways to improve special education. With 78,310 special needs students in the country registered with the ministry up till today, the ministry and the government are not hesitant to invest in them with hopes that they will in the future be among contributors to a greater Malaysia. A spokesperson for the Special Education Division said, since 1990, Malaysia had been showing significant progress in special education, primarily on its curriculum, teacher supply, pedagogy, as well as the establishment of the Special Education Department, which has now become the Special Education Division, a clause on special education in the Education Act 1996 and the introduction of the Education Rules (Special Education) 1997. The PPKI sees special needs students study in the same school as mainstream students but in different classes, while the PPI sees special needs students immersed with mainstream students in the same classes. “Education Rules (Special Education) 2013 defined special needs students as those among six categories, which are hearing-impaired, sight-impaired, speech-impaired, physically-impaired, learning difficulties and multiple disabilities. With the aim to produce quality human capital, special needs students are not trained to just follow instructions but to also have knowledge, skills and good character, constantly be on the road to self-improvement and have the ability to work with minimal supervision. In relation to achieving the National Transformation 2050 (TN50) and producing an excellent younger generation in 30 years to come, teachers must be creative in educating students, including special needs students. “The mode of learning for every special needs students is different and they need well-planned, relevant and realistic pedagogy modifications. Sekolah Menengah Pendidikan Khas Vokasional Shah Alam is one of the four special education schools that specialises in vocational education. The school’s administration senior assistant, Khairulanuar Suhib, said the school offered 10 courses for special needs students, including desktop publishing, hairdressing, housekeeping operation, furniture production and operation, as well as batik production and operation. “All our courses have been certified by the Skills Development Department (Jabatan Pembangunan Kemahiran) and consists of three phases. The classes, he said, have an average of eight students and two teachers, making it easier for lessons to be individualised and focused on each student. The teaching and learning process ensured that every student is given their own time and space to learn according to their own ability and not more than that. In addition to specialised classes and top-notch teachers, special needs students are also given allowances of RM150 a month, which adds up to RM1,800 every year for each student. “One hundred per cent of their food is sponsored while they are in school and they can even go back home from their hostels every week. “To go to school, they only need to bring personal belongings, other than that, the ministry has been gracious enough to sponsor,” he said. JOHOR BAHRU, Jan 8 (Bernama) — The people should not use the excuse of lack of funds to prevent their children from getting an education, said Eco World Foundation chairman Tan Sri Lee Lam Thye. This was because the foundation which was set up in May 2014 had spent RM5 million a year to assist students from poor families, he said. He said the foundation had forged cooperation with the Education Ministry to identify students who were eligible and excellent in their studies and would continue to assist them up to the level of higher education. “Education is a most important tool for children in the world, and it is the only investment that can truly change their fate,” he told reporters after attending an Excellent Award Ceremony for Ujian Pencapaian Sekolah Rendah (UPSR) and Pentaksiran Tingkatan Tiga (PT3) 2016 Yayasan Eco World, here last night. “We set up the foundation in May 2014, and to date we have assisted more than 3,000 students from poor families,” Lee said. Crucial to understand needs of young people — British High Commissioner. KOTA KINABALU: Mindful of the fact that youths play an important role in determining the future of a nation, not only has she made young people’s agenda an area of personal interest, but it was also part of British High Commissioner, Vicki Treadell’s strategy engagement here in Malaysia. And one of the programmes that reflect the high commission’s commitment to this particular agenda is the organising and hosting of a filmmaking programme, featuring local youths presenting films focusing on issues that concern them and their community. “They (the youths) will be the inheritors of the decisions that are made today by those currently in power, whether in organisations or the government. Hence, it is very important to understand what young people feel, what their ambitions are, where they want to go, what they want to achieve. “Lights, Camera, Youth, Action, where three young people will be presenting their films and those films will contain themes, about issues, that are close to them, that matter to them, that concern them,” she said in a press conference at the Sabah Art Gallery here yesterday, where the films were being screened. ‘Lights, Camera, Youth, Action!’ was a programme celebrating proactive youth, community empowerment and local filmmaking, organised by the British High Commission as part of its youth engagement programme called the Successor Generation Initiative (SGI), which was launched earlier this year. Three groups of community filmmakers from Sabah screened short films highlighting community issues and climate change concerns. This set the scene for a dialogue where youth participants shared their views on the topics concerned, moderated by Adrian Lasimbang, an Orang Asal rights activist and renewable energy developer and practitioner. Melissa Leong, festival director of the Borneo Eco Film Festival, (BEFF) also gave a short talk on community filmmaking. The first film screened was ‘Mastal Arikik’, a film by the Wanita Pulau Omadal (WAPO), that tells a heart-warming tale of a young boy living on Omadal Island, who at a tender age is already helping to educate the island’s children by working as a teacher in a local primary school. ‘Kisah Budak Jalanan’ by the group Greens Semporna was filmed in Semporna, revealing the desperate circumstances faced by local stateless children who often have no opportunities to receive education, exist well below the poverty line, and turn to drugs from a very young age as a means of coping with their harsh realities. Children with special needs and capabilities must be nurtured and allowed to grow alongside their ‘normal’ peers at school for better outcomes. I HAVE been motivated to write this article on special needs education, a topic that is close to my heart especially after attending an International Conference on University Learning and Teaching that I officiated at recently. It was organised by Universiti Teknologi Mara (UiTM), with the co-operation of several local and foreign universities, including University of Herefordshire (UK) , University of South Australia (Australia) , University of Ohio (in the United States) and Taylor’s University (Malaysia). Also, I have come away impressed with the positive outcomes of inclusive learning that have brought out the best in special needs students like Siti Nabilah Saiful Wong, 13, who was also named “Academic Icon 2014”. I must point out that special needs education in the country is an area that has been given more importance in the Malaysia Education Blueprint 2013-2025. The Education Ministry offers three options under the National Special Needs Education system specifically for those with hearing, visual or learning disabilities. • Inclusive Education Programme (pupils with disabilities or special needs who are placed so that they can integrate with other students in mainstream classes). I am focusing on inclusive education as the landscape of special education which involves multiple stakeholders including parents, NGOs, the Health Ministry, Women, Family and Community Development Ministry as well as the Human Resource Ministry and the mass media. Those with special needs must have access to mainstream schools, and inclusive mainstream schools are the best way to overcome discrimination. LAST month was Autism Awareness Month and many events were organised by various groups to inform the public about autism. I attended quite a few events, but mostly in the Klang Valley. Some of the media, including this newspaper, took part too. Various articles were published, and interviews broadcasted, to tell the public about autism. All these are very good to see. I applaud everyone who took part in the initiative. Without getting too technical, autism is a “spectrum disorder” which means the severity of symptoms ranges from a mild learning and social disability to severe impairment, with multiple problems and unusual behaviour. The disorder may occur alone, or with accompanying problems such as mental retardation or seizures. Autism is not a rare disorder. Its cases are found throughout the world, in families of all economic, social, and racial backgrounds. Doctors, politicians and rubber tappers alike are known to have autistic children. Looking back to when I was in primary school in Sekolah Kebangsaan Dato Ariffin Mohd Nam in Perlis, I think at least two to three of my schoolmates were actually autistic. But at that time, in early to mid 1980s, knowledge about autism was relatively lower. And if you consider the fact that my primary school was in a rural area, halfway between Kangar and Padang Besar, I guess it is not surprising that the teachers were not yet well equipped to detect the condition. Today, many things have changed. Parent and teacher awareness has increased tremendously. The government too has done a lot. 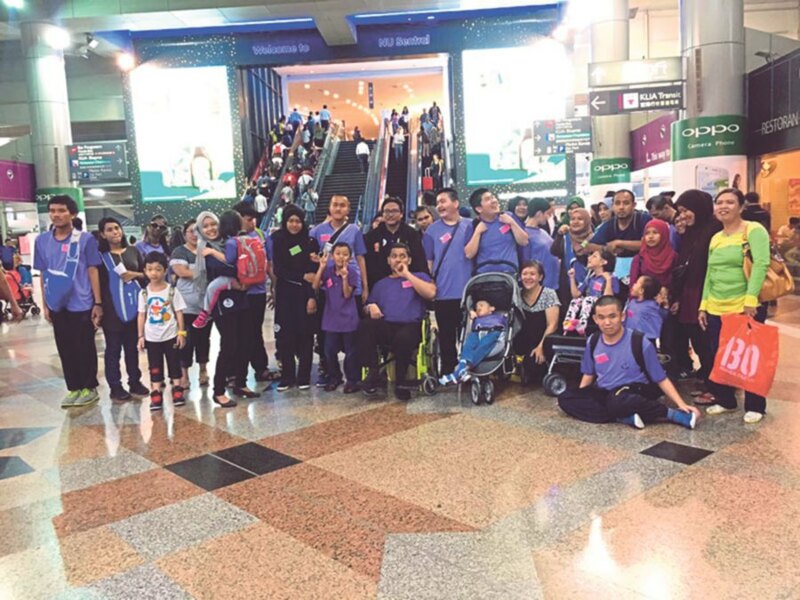 The successful International Seminar on Autism that was held in Putrajaya on April 22 – April 23 was just one example. The Education Blueprint that guides the work of our Ministry of Education has a section dedicated to children with special needs. It states a clear aim of making our schools inclusive. The Blueprint acknowledges the 1994 Salamanca Statement and Framework for Action on Special Needs Education by saying that those with special needs must have access to mainstream schools and that mainstream schools with an inclusive orientation are the most effective means of overcoming discriminatory attitudes. At Ideas, we too are trying to do our part. In early 2012, two friends, Mustaqeem Mahmood Radhi and Mohd Fakhri Noor Affandi, called me up suggesting we meet for some teh tarik. KOTA KINABALU: The Education department (JPN) has provided two special education schools for students with visual and hearing difficulties so far. Its Director Datuk Jame Alip said that to date, there are a total of 70 special education integrated programme for primary schools and 52 for secondary schools throughout the state to cater the needs of special children education. He was delivering his speech at JPN Gala Night which was launched by the Head of State wife, Toh Puan Hajah Norlidah Datuk R.M. Jasni at KDCA hall here, on Saturday. He urged principals, headmaster, teachers and district education officers, parents and non-governmental organisation to work together to realise the aim to provide equal opportunities in education for the special students. “The Education ministry is very concern towards the need of students with special needs especially education. In line with the Education Development Plan 2013-2025, the government will expand the education access to the students with special needs so that they receive equal rights in education,” he said. Yesterday, the guests were presented with performances by special students such as singing and dancing. A special student from Tuaran, Mohd Amar Amirulamin Mat Zin who is visually impaired has won the second place for Tilawah Al-Quran, third place in memorising Al-Quran. The law is clear, a child with a disability must be allowed to attend school, yet many schools discriminate such children, or are reluctant to take them in for various reasons. STARTING school for the first time can be a nerve-wracking experience for parents and their children. Parents are anxious if their child will fit in, while the fears a child may have about school can be just as intimidating. They can be apprehensive about being separated from their parents, riding the school bus, meeting a new teacher or even making new friends. Take Ibrahim* for instance, he was worried that his daughter Nurul who was about to start schooling would not adjust well to her new environment. He decided that he would go to the school and snap some photos of the school layout and the facilities available there. He then compiled the pictures into a “social story” to explain and familiarise Nurul to the environment she was going to be in. While the doting dad may seem to have gone overboard with his actions, there was a reason for him to do so — his daughter had been diagnosed with autism spectrum disorder. People with autism spectrum disorder have a strong preference for routines and Ibrahim’s effort in repeatedly telling the “social story” was to prepare Nurul for her new school life. A “social story” is a strategy developed by Carol Gray, an educational consultant and autism teaching expert. Her primary objective is to prepare individuals with the condition (autism) for social interactions through social instructions and expressions in a defined style and format. Ibrahim had also explained to the school authorities of her condition. Since teachers were already informed, they went the extra mile in providing the necessary assistance and even roped in her classmates to help her out. Now in Year Three, the girl doesn’t seem to have problems completing her homework and has been doing well in all her tests. Like most of her peers, she gets help from tuition classes after school. Ibrahim is grateful for the support he’s had from school authorities. Being the adorable child she is, Nurul’s teachers and even the canteen assistants or mak chiks are always looking out for her. Even the school’s security guard keeps an eye on her as she waits for her father after school every day. You are currently browsing the archives for the Inclusive Education category.